Fans of lots of noise and those who want to be close to Dunlop bridge, car clubs, camper vans. Nothing new, be aware pitch terrain can vary widely. Wide open to the general public with zero security. Nothing really. 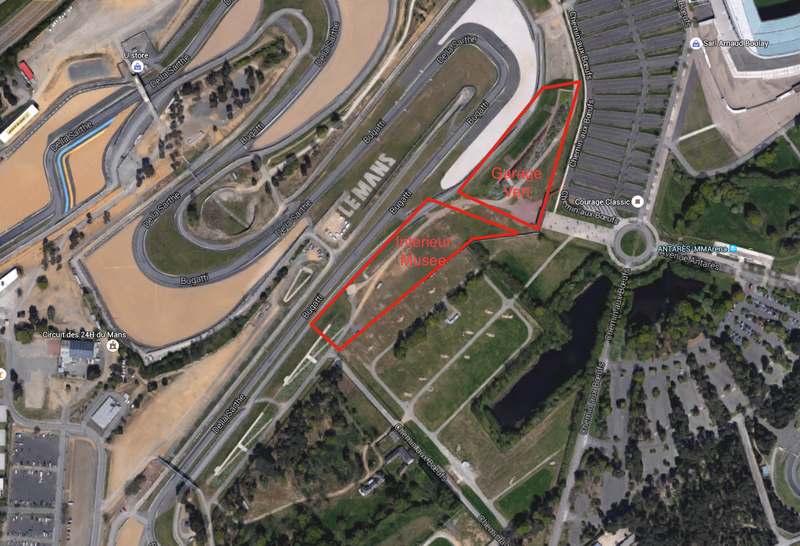 With the road open there is a small industrial estate with a good Decathlon towards the top of the Mulsanne straight. I was here in 2009 and hope to be back this year (even if I have to mug my credit card). 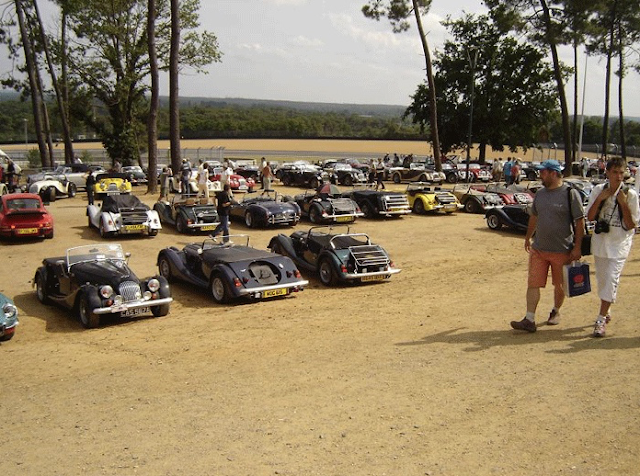 Location & Access: If you look at the Google Earth fly by for the camp site all you have to do is follow the underground pedestrian route south from the west end of Tertre Rouge through the large walled circular enclosure and under the Bugatti intestines to the south et voila: Garages Verte. Easy access for all including thieves. Camping: Plenty of pitchs. Ground is gently sloping (so don't pitch up next to the concrete wall as rain may puddle there). Ground is easy to peg your tent down to. 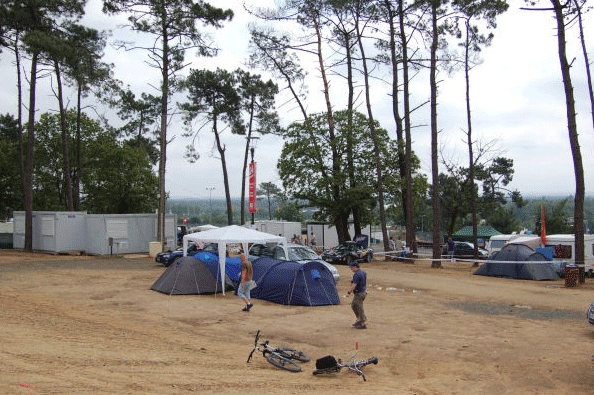 Security: Zero, wide open and a major access point for the general public francaise. Facilities: Toilets and showers available at the pedestrian entrance. Another shower block available half way up the hill but that was out of action due to flooding (from the showers) and the occasional poo strategically positioned in the middle of the walkway. Nobody looks after that block so it took a while before anyone cleaned it up. Atmosphere: Brilliant. A tad less fun than Tertre Rouge. Summary: We're back there this year so 'nuff said.